Environmental changes drive evolution through natural selection. Currently, different factors (notably human activity) are speeding up the pace of Global Change, challenging the genetic ability of many species to respond and adapt accordingly. Fortunately, organisms have additional strategies to rapidly acclimatize to environmental stressors, involving modifications in the organization of their hereditary material modulating the expression of specific genes. These are Epigenetic modifications, and they do not involve changes (i.e., mutations) in the DNA. Interestingly, acquired epigenetic changes can be inherited, providing the offspring with a head start to successfully survive and reproduce under Global Change. The central goal of our research is to investigate the cause-effect relationships between environmental stressors resulting from global change (e.g., harmful algal blooms, nutrient loading, ocean acidification, thermal stress, etc.) and the subsequent epigenetic mechanisms regulating physiological responses in marine life. For that purpose, we develop fieldwork and laboratory experiments using model and non-model organisms, including molluscs, cnidarians, sharks and marine mammals. We are primarily interested in studying the epigenetic contribution of chromatin components (e.g., histones and their modifications), although our research also addresses the role of DNA methylation and small RNAs. This research will help us better understand how Epigenetics facilitate physiological responses to stress in marine organisms, setting the basis for improving current restoration and management strategies. Our research is the result of sheer dedication fueled by the genuine enthusiasm of a fine team of highly skilled researchers and students. No scientific program can thrive without collaboration, that is why ours fosters multidisciplinary knowledge across fields and beyond boundaries. We study the effects of Global and Climate Change on marine life, including natural and anthropogenic stressors. The cause-effect links between Global Change and epigenetic modifications constitute the core of our research program. Our work goes beyond epigenetic mechanisms, reaching into physiological processes involved in organismal responses. We study the physiological effects of stressors using ecotoxicology approaches, trying to understand their impact on marine life. We strive to understand how epigenetic responses will alter the way organisms interact among themselves and with the environment. Our work will help elucidate how modifications in fitness resulting from epigenetic modifications contribute to adaptation. Our work fulfills a dual purpose: on one hand, it addresses basic questions advancing scientific knowledge; on the other, our research builds the framework for developing applied methods to curb the effects of Global Change on marine life. Funded by the National Science Foundation (2018 - 2019) – PI: Dr. Eirin-Lopez, Florida International University. Funded by the National Science Foundation (2017 - 2018) – co-PI: Dr. Eirin-Lopez, Florida International University. Characterization of epigenetic mechanisms in marine invertebrates. Funded by the Ramon Areces Foundation (2016 - 2018) – PI: Dr. Rivera-Casas and Dr. Eirin-Lopez, Florida International University. Epigenetic characterization of flat tree oysters as environmental biomarkers in mangrove ecosystems from North Biscayne Bay, Miami FL. Funded by the Broward Shell Club (2017) – PI: Dr. Eirin-Lopez, Florida International University. Center of Research Excellence in Science and Technology, Center for Aquatic Chemistry and Environment (CREST-CAChE). Funded by the National Science Foundation (2015-2020) – Participating Faculty: Dr. Eirin-Lopez, Florida International University. Pilot analysis of the next-generation epigenetic biomarkers of brevetoxin exposure during Florida red tides in Eastern Oyster. Funded by the Biomolecular Sciences Institute, Florida International University (2015 – 2016) – PI: Dr. Eirin-Lopez, Florida International University. Advance Mass Spectrometry Facility Rapid Access. 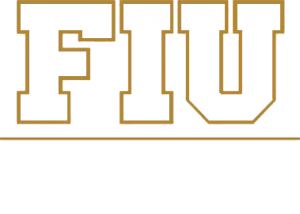 Florida International University (2015) – PI: Dr. Eirin-Lopez, Florida International University. Histone H2A.X and H2A.Z variants of bivalve molluscs: chromatin structure, evolution and applications in genotoxicity tests. Funded by the Spanish Government, Spain (2011 – 2014) – PI: Dr. Eirin-Lopez, The University of A Coruña, Spain. Consolidation of the Galician Bioinformatics network. Funded by the Spanish Government, Spain (2011) – co-PI: Dr. Eirin-Lopez. The University of A Coruña, Spain. Chromatin specialization in bivalve molluscs: evolutionary implications and potential applications. Funded by the Xunta de Galicia, Spain (2010 – 2014) – PI: Dr. Eirin-Lopez. The University of A Coruña, Spain. NanoLINEN – nanotoxicology link between india and eurpean nations. Funded by the European Research Council (2010 – 2012) – co-PI: Dr. Eirin-Lopez. The University of A Coruña, Spain. Study of the evolution of metazoan animals through the analysis of chromatin dynamics and histone code. Funded by the Spanish Government – MICINN, Spain (2010 – 2012) – PI: Dr. Eirin-Lopez. The University of A Coruña, Spain. Study of the genotoxic effects of the marine biotoxin okadaic acid on mussel aquaculture industry. Funded by the Spanish Government – MICINN, Spain (2008 – 2011) – co-PI: Dr. Eirin-Lopez. The University of A Coruña, Spain. Development of cytogenetic and molecular markers in the clam Ruditapes decussatus under environmental stress. Funded by the Spanish Government, Spain (2007 – 2010) – co-PI: Dr. Eirin-Lopez. The University of A Coruña, Spain. Identification of DNA markers in the clam Venerupis pullastra and application for genetic variability analysis and population structure. Molecular and evolutionary characterization of core and linker histone variants: mechanisms involved in altered chromatin conformations arising from pathological states - CHROMEVOL. Funded by a Marie Curie Outgoing International Fellowship (OIF – 021900) Research Project. Funded by the EU (European Union) within the 6th Framework Program (2005 – 2008) – PI: Dr. Eirin-Lopez, The University of A Coruña, Spain – University of Victoria, Canada. Structure and chromosomal location of different genomic regions in the mussel Mytilus galloprovincialis. Funded by the Spanish Government, Spain (2001-2004) – co-PI: Dr. Eirin-Lopez, The University of A Coruña, Spain. The collective effort of our team has brought recognition for students and researchers at all levels. We take a lot of pride in such distinctions and strive to live up to the expectations deposited in our work.